Companies developing fermentation technology for natural cannabinoid and terpene production may have the disruptive potential to deserve attention as potential portfolio diversifiers. Fermentation-based production eliminates plant cultivation from the supply chain while pharmaceutical-level production output has immense potential for FDA approval without the challenge of attaining scalable production consistency. A fermenter the size of a large refrigerator can replace an acre of cannabis plant production while using one hundredth the water and one thousandth the electricity. Vanilla, citric acid, antibiotics, biofuels, ethanol, vitamins and nutrients are all current examples of products created via this process. Metabolic engineering creates strains of yeast that specialize in cannabinoid production with the addressable market exceeding $50 Billion for pain management, epilepsy and neurological treatments alone. The pharmaceutical industry has been using genetic engineering methods to produce complex drugs since the 1980s. Microorganisms such as yeast and bacteria produce products normally made by other species or products that can be made in no other way. An entire catalog of important human therapeutic proteins such as insulin, growth hormone and cancer-fighting antibodies are made in large fermentation tanks. These products are now integrated into mainstream medical practice with public acceptance and trust driven by FDA standards of safety and efficacy. Prior to the development of these genetic engineering methods, drugs such as insulin and growth hormone could only be derived from animal sources or from human cadavers. The relevance of genetically engineered drug production along with the elimination of plant and animal sourcing has plenty of relevance to cannabis-based pharmaceutical-grade medicinal production. Plant sources present peculiar challenges to cannabinoid composition and scalable consistency. 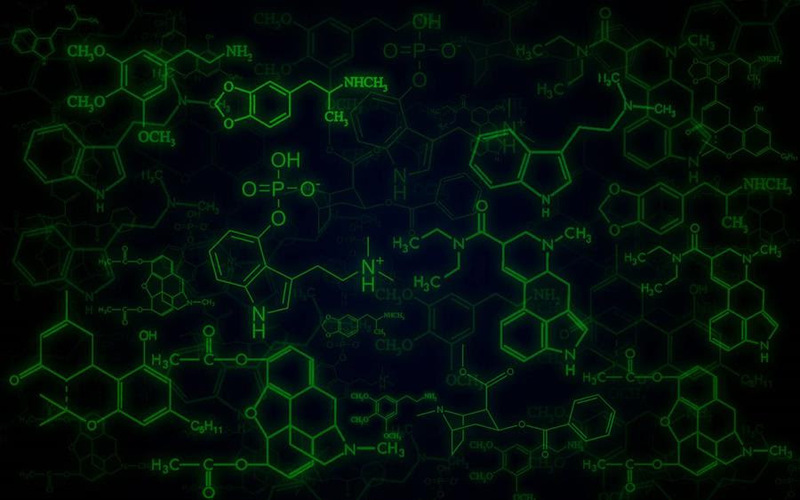 512 bioactive compounds that include 120 cannabinoids and 200 terpenes contribute to a limitless set of permutations and combinations. While the holistic entourage effect is attractive for the consumer, it is problematic when trying to develop predictable, scalable and consistent therapies. A virtuous sequence of science and attitudes can be envisioned as genetically engineered processes allow for easier FDA approval with greater resultant acceptance from the patient population. A major source of information regarding progress being made in fermentation-based processes is cannabis patent literature. The pharmaceutical industry has been very active in developing and patenting cannabinoid formulations and understanding the mechanism of drug action from a period beginning in the early 1990’s with a 2007 peak in that activity. As a result, big pharma can turn on development programs and enter the cannabis space immediately by way of licensing and acquisition. For now, a number of small and medium-sized companies have stepped into this space. These companies continue to develop bio-engineered yeast strains and processes intended for the effective and scalable cultivation of isolated cannabinoids in pharmaceutical-grade laboratory environments. Applications in the FDA approval process along with the potential for ultra-low cost and scalable cannabinoid supply to manufacturers has implications for large and disruptive impact to the medical supply chain. With over 700 medicinal uses of cannabis, the total addressable market here dwarfs the entire current cannabis industry. While the overall efficacy of fermented cannabinoids may be different from unrefined plant-based matter, the capability to produce at scale and consistency on a molecular level may be just the solution to issues that the FDA may face with cultivation and extraction output. Investors may be well served to pay attention to these technologies as effective portfolio diversifiers to cultivation exposure. A positive outlook, a moderate diet and communion with nature – our three best physicians.